Training load helps you to recognise your own limits better and to adjust the training intensity and duration to your training targets. Polar M600 - the best of two worlds: Smartwatch with the approved Polar training and analysis functions. After the Finnish sport watches specialist Polar brought the first training monitor with heart rate measuring and the first activity tracker on the market in the past, he has now developped another smart solution for sports, the Polar M600: a smartwatch, which is perfectly made for sports. 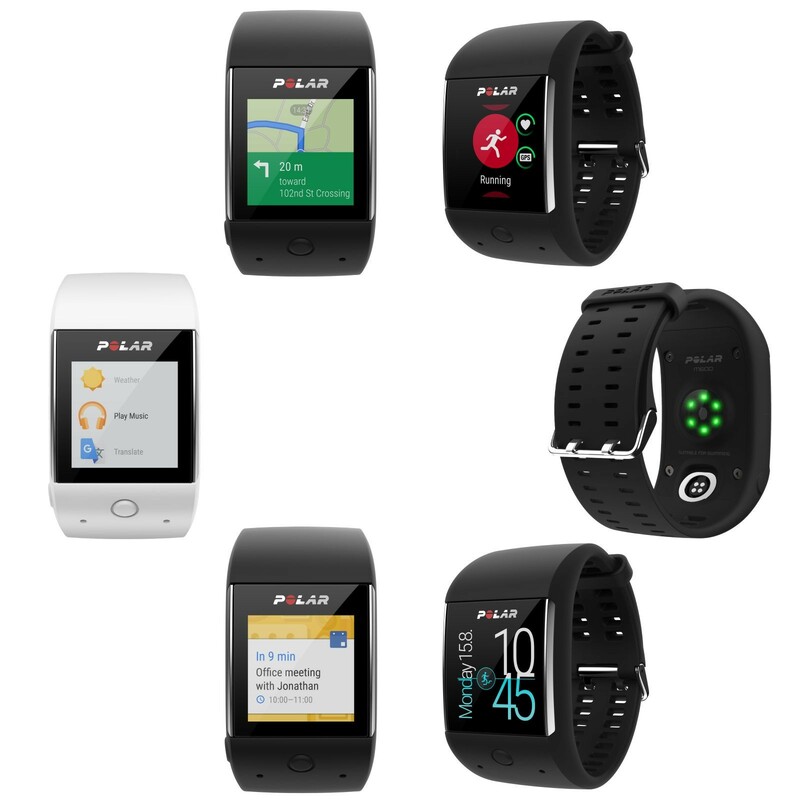 The sporty Polar Smartwatch M600 combines the advantages of Google‘s operating system Android Wear™ (*) with the unique Polar training and analysis functions („Smart Coaching“). This combination, which is unique to date, offers unexpected opportunities to set the watch individually to the own requirements. On the hand the approved Polar functions as i. e. the different sport profiles, the Activity Guide, which monitors the daily movement, or the versatile activity and training analyses. Using the integrated Polar Flow App, personal data are comfortably kept in an overview: daily activity, sleeping analysis, training values including heart rate can be called via iOS as well as Android. Further details and tips for load and training control are visible via the free Polar web online service. On the other hand you have all the many advantages and applications of the Android Wear™. From voice control to the calendar system, from text messages, which can be read and replied to, to the access to social media channels of up to more than 4,000 apps in Google Play™. 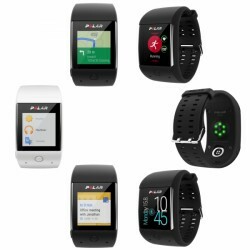 The Polar M600 just cancels the separation between smartwatch and sports watch. And thanks to a memory of 4 GB and the connection to Google Play even makes it unnessecarry to take along a smartphone for listening to music. Besides the precise GPS routing, 24/7 Activity Tracking, and the Polar Smart Coaching functions mentioned above (via the integrated Polar Flow App), the Polar Smartwatch M600, which just weighs 63 g, convinces by further innovations. It includes the pulse measuring on the wrist, which is done by six LEDs of the Polar Smartwatch M600 and is hence a world innovation. Together with the easy operation via the colour touch display with resistant Gorilla glass and a water proofness (according to the IPX8 standard, 10m), which allows swimming, Polar shows once more which focus the put on precision, reliability, and comfort. That's the same for the battery. In combination with Android devices, the lifetime is more than 48 hours and hence longer than that of other smartwatches, which are available on the market. However, being connected to iPhones, the battery capacity is limited (one day / eight training hours). Here, it is necessary to note that Polar always has new updates reayd, which, among other things, let work the 500 mAh battery more efficiently. (*) Android 4.3 or higher respectively iOS 8.2 or higher are required.